Producing and supplying finest quality of silica powder upto 1000 mesh with Sio2 content 99.5%-99.9% with low iron and no impurities. Best quality silica granules from 0.1mm to 6.0 mm with whiteness around 98% and above with high Sio2 content and low Fe and no impurities. Producing high silica content quartz lumps for steel industries and other industries from 40-100mm size with high silica content no impurities. We are manufacturing silica powder and granules as per requirement of steel and metal industry for refractory use and furnance lining. We are producing finest quality of silica granules and natural silica for water filteration use. Our products are of superior quality. We are producing Silica powder and granules for paints and industrial coating procedures with 300-325 mesh powder and 30-150mm granules. We have low cost natural silica to super fine quartz granules of 30-80 size used extensively for glass manufacturing with high Sio2 content. We are producing finest quality of quartz crystals for scientific equipements manufacturing. 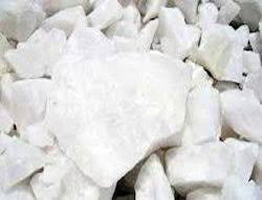 We are leading producers of quartz crystals in India. We are producing proppant or Frac sand for oil and gas industry. Our silcia for frac sand meet all the speficiations for use as Frac Sand. Manufacturing finest grade of silica powder. We manufacture from 200 mesh to 1000 mesh with high Sio2 content. 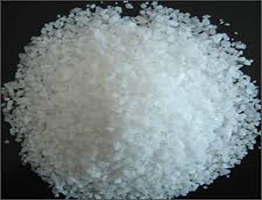 Producing high grade of silica granles from 0.1mm to 6.0 mm size with high Sio2 content and low fe content. Producing quartz lumps of different grades for various industrial use from metal to water filteration and more. Check the quality and details of our crystal quartz. 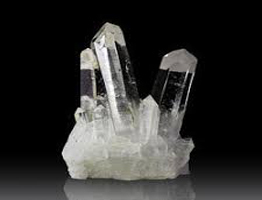 We are supplying finest quality of quartz crystals.